Posted on June 1, 2018 in Newspaper. 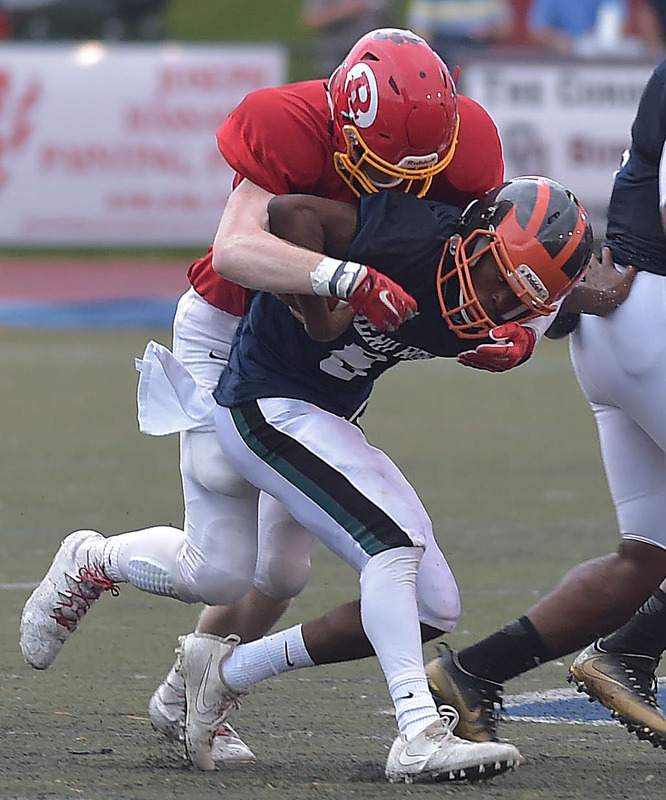 Coary punted and kicked in Thursday’s 42nd edition of the Delaware County all-star football classic. Along with Marple Newtown’s Luke Ciavardelli, who hit a 37-yard field goal, it could be argued they were two of the best-performing players on the field. The Red squad earned a 10-6 victory, but if you were looking for a clinic or highlight reel of offensive football … well, this wasn’t the year for that. All-Delco wide receiver Rahiem Bowens of Penn Wood, seemed stuck in park all night. And Coary’s punting also alleviated the offensive woes of the Red team, which completed only two passes for 47 yards and amassed a whopping 21 yards rushing. Webmaster’s note: The 42nd Hero Bowl game was audio broadcasted by Havenfootball.net and is available on our archives using the player above.